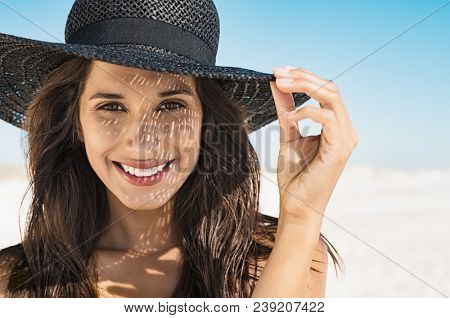 Portrait of beautiful young woman wearing summer black hat with large brim at beach. 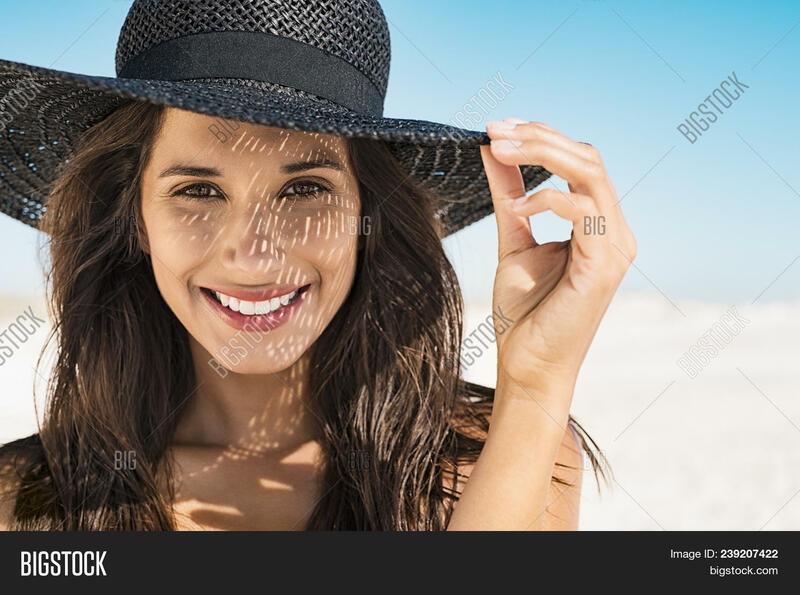 Closeup face of attractive girl with black straw hat. Happy latin woman smiling and looking at camera at sea.